FROM the ashes of a first round failure to Derry at Croke Park to the glory of a first title in two years - that, in short, is the story of Dublin's participation in the 1992-93 National Football League. When the Dubs lost by two points to Derry in the opening round in mid-October 1992 few could have envisaged that they would bounce back to win the title. All the more so as the defeat came close on the shock failure to Donegal in the All-Ireland senior final of 1992. But Charlie Redmond, who had announced his retire­ment, returned to spark the revival on Dublin's first visit to Markievicz Park, Sligo. He had a fine game and scored seven points to power the Leinster champions to a ten points' win over Sligo. The revival hopes soared and dipped again on a murky November afternoon at Croke Park against Louth before an attendance of just 7,073. Dublin got off to the best possible start when Jack Sheedy had the ball in the Louth net after only 20 seconds. However, the "Wee County" shrugged off that set-back and in a match contested with championship fervour made Dublin battle all the way for a hard-earned two points win.A splendid second half goal by Charlie Redmond against Antrim at Casement Park at the end of November did much to ensure that Dublin had cause to look forward with high hopes to 1993. Thirteen minutes into the second half of a somewhat disappointing game Redmond brilliantly fielded a cross from Tommy Carr and rifled the ball past Dominic McEnhill in the Northern goal. Dublin were on their way and finished winners in good style by five points. Even so, John O'Leary was still called on to make a superb save after Redmond's goal from Frank Wilson, who had gone into the Antrim side as a substitute. Dublin opened the 1993 campaign on a shaky note against Wexford, at Wexford Park, before some 4,000 spectators. Midway through the second half they led by 0-10 to 0-4, but the Model County men rallied superbly. The visitors failed to score from play in the last sixteen minutes, and they were kept in the game by a great block by Ciaran Walsh on an attempt for goal by Billy Dodd. In the end the Dubs scraped home by a single point. The Metropolitans kept up the winning run when they had Galway as visitors to Croke Park. Paul Bealin and Pat Gilroy at midfield, and Tommy Carr and Jack Sheedy were prominent in forging out a 0-13 to 1-6 win. That game marks a special milestone in the Dubs' success story. Early in the second half left half-forward Fergal O'Neill scored what was to prove the last goal against the Leinster men in the 1992-93 League. Dublin qualified for the play-off stages as a result of a winning performance at Askeaton. They played against a strong wind in the first half against Limerick and trailed by two points at the break. Four minutes after the interval Dublin were level, and they sent over five unanswered points to set the scene for a six points' win. Dublin lost little time in putting behind them the loss of Paul Clarke, who failed a fitness test, when they entertained Kildare at Croke Park before an attendance of 31.107. The match was only 80 seconds old when Martin Doran gave the home side the perfect start with a goal. The score helped Dublin to a 1-3 to 0-5 interval lead after playing against the wind. The Dubs were completely on top in the final stages, scored seven points without reply, to win comfortably by eight points. A goal by Niall Guiden in the 20th minute proved the decisive score in Dublin's 1-10 to 0-11 win over Kerry in the semi-final at Croke Park. Right full-forward Martin Doran took a quick free to put Guiden in possession. He raced to the edge of the square, and then expertly placed the ball past Peter O'Leary. Jack Sheedy, at midfield, and John O'Leary also did much to fashion Dublin's return to the final action in a game that did not exactly set the pulses racing of the 46,536 followers. History was made in the decider as it marked Donegal's first appearance at that stage of the League. A crowd of 51,000 turned up at headquarters, and saw a keenly contested game highlighted by a top-class display by Dermot Deasy at full-back. He was supremely on top of his game. Sheedy and Paul Bealin at midfield and Tommy Carr were also to the fore for Dublin, but the home favourites still had to settle for a division of the honours on a scoreline of 0-9 each. The replay drew a huge attendance (59,703) and saw Dublin, like other teams in the past, add to the "14-man winning syndrome" by capturing title No. 8 by 0-10 to 0-6. Tommy Carr was sidelined by the referee in the sixth minute, and with his departure many felt that Dublin would lose a second successive national final to the North West men. However, the Dubs rose to the challenge in great style. Eamonn Heery at right half-back, Sheedy and Bealin at midfield, and Guiden and particularly Paul Clarke in attack provided the inspiration for a great-hearted performance that paid a handsome dividend with a four points' win. Clarke scored five golden points. He was called into the side for the replay, and his expert finishing technique proved the platform on which the victory effort was built. Still, every member of the 14-man squad played his part in enabling Dublin to overcome their handicap, and record probably their best win in a major final since the 1983 All­Ireland final. Dublin's winning years in the National League: 1953, 1955, 1958, 1976, 1978, 1987, 1991 and 1993. They were in third place in the rankings, headed by Kerry with 15 wins, and Mayo on ten. 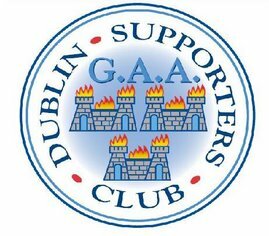 Posted by Dublin GAA Supporters Club at 12:28 p.m.